The elegantly styled Pool Villas at our romantic hotel on Laemthong Beach are tucked away along the remote and beautiful coastline and amongst the lush tropical gardens. The beautiful Thai furnishings and design features create an inviting and warm space to unwind with plenty floor-to- ceiling windows to enjoy the scenery. 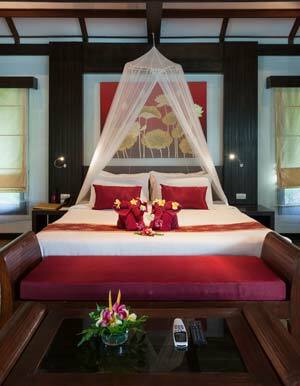 With two separatebedrooms, each with a balcony of its own, the villas are perfect for couples and families alike. 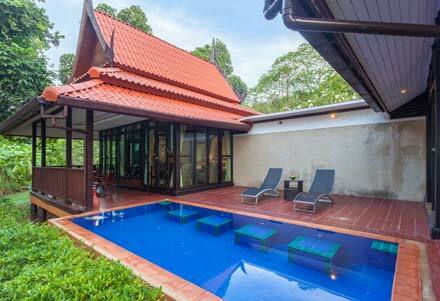 At the centre of the villa both bedrooms open onto a central courtyard featuring a lovely swimming pool and sun deck.